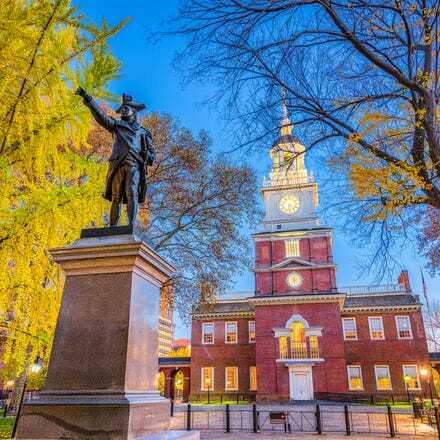 Known as the birthplace of American democracy, Philly is home to an incredible array of treasures, including Independence Hall, The Franklin Institute and, of course, the famous Rocky Steps. Soak in the rich history, world-class art and so much more on a trip to Philadelphia. 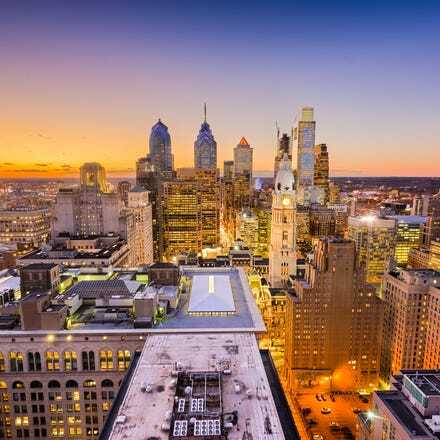 Grab yourself a cheap flight to Philadelphia and discover how easy it is to travel to North America with Aer Lingus. Connect in Dublin where you can pre-clear U.S. immigration before boarding your flight - that means you can grab your bags and go when you land in Philadelphia! As the birthplace of America, Philadelphia has endured centuries of peril, challenges and conquest, and remains one of the nation's top attractions. Historical buildings, sculptures and murals line streets that were once walked by the Founding Fathers of the United States. Weather varies throughout the seasons, vacillating between mild springs, hot summers, and chilly winters, but people can always be seen out and about in the City of Brotherly Love. 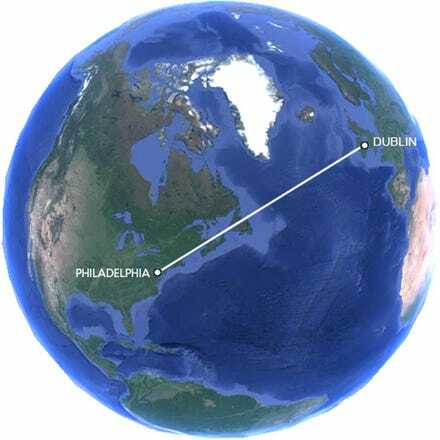 All Aer Lingus flights to Philadelphia arrive at Philadelphia International airport (PHL), which is located approximately 7 miles from downtown Philadelphia. Rail service to PHL is available via SEPTA’s Airport Rail Line. The general transportation system is a network of public transit, taxicab, shuttle, and limousine services. Stations on the Airport Regional Rail Line include Terminal E/F, Terminal C/D, Terminal B, Terminal A (East), Eastwick, University City, 30th Street, and three Center City stations along Market Street, including 30th Street, along with Suburban Station and Jefferson Station. All stations on the Airport Line are wheelchair accessible.